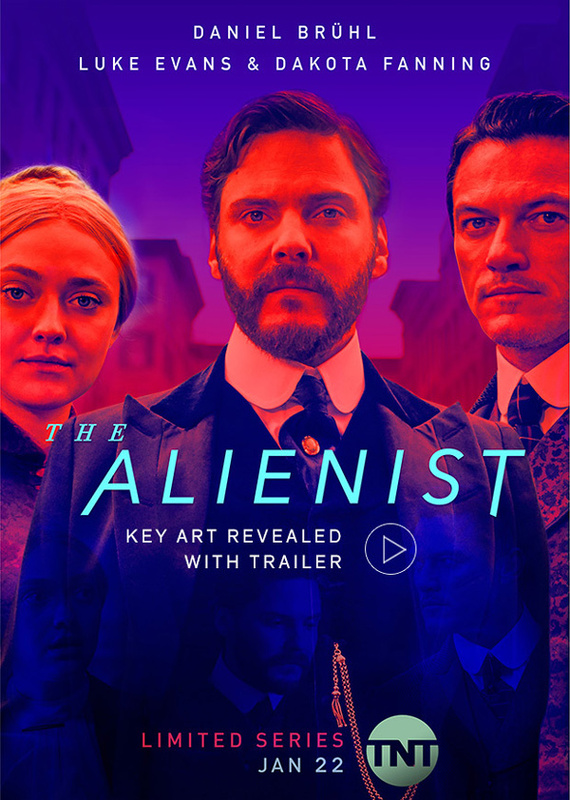 "The Alienist" opens when a series of haunting murders of boy prostitutes grips New York City. Newly appointed police commissioner Theodore Roosevelt (Brian Geraghty) calls upon criminal psychologist Dr. Laszlo Kreizler (Daniel Brühl) and newspaper illustrator John Moore (Luke Evans) to conduct the investigation in secret. They are joined by Sara Howard (Dakota Fanning), a headstrong secretary determined to become the city's first female police detective. Using the emerging disciplines of psychology and forensics, this band of social outsiders set out to apprehend one of New York City's first serial killers. The limited series also stars Douglas Smith, Matthew Shear, Matt Lintz, Robert Ray Wisdom and Q'orianka Kilcher.